A Plethora of Nails: I Didn't Even Prepare A Speech! I was given an award by the lovely Polish and Charms. She does fabulous swatches, frankens, and nail art! Also she does Funny Monday which, obviously, involves funny pictures! Here is one of my favorite posts from her blog: Click Me! 1. Leave a link back to the person who gave it to you. 2. Blog about your award. 3. 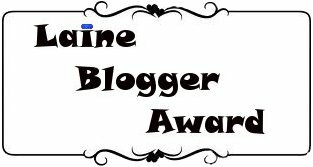 Give this award to 5 bloggers & let them know you give it to them. I understand if the people I tag do not want to participate in the award. If they do, great! Congratulations! :) You totally deserve it. Hey thanks for the award! I really appreciate it! AM working on tomorrow's post-gave you a shout out!